Help you create flip android publications fast , which can be available on Android-powered devices. 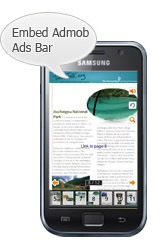 View the flip android publications on your Android-powered device. 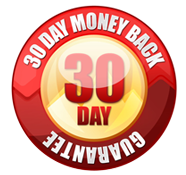 You can create any number book apps without any payment. 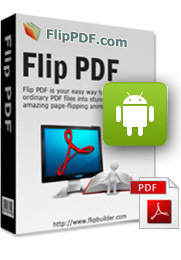 Flip PDF for Android is concentrate on converting PDF and image files to portable page-flipping electronic publications for popular Android-powered devices. Without any programming workload, you can easily create apps for Android. The apps enable searching, hyperlinks, book index, and most importantly, you can read the book by flipping like browse a paper book. At a Glance: Easy! 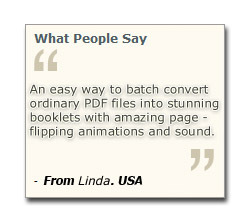 Even a new user, you can use Flip PDF for Android within a couple of minutes without any special learning. Before app created, you can choose thumbnail or non-thumbnail form. In fact, the thumbnail equals the book index. By sliding the thumbnail list at the bottom, you can quick access to the page you want to read. There is another quick-approach method, click bottom area, and then enter the page number in the pop-up window. 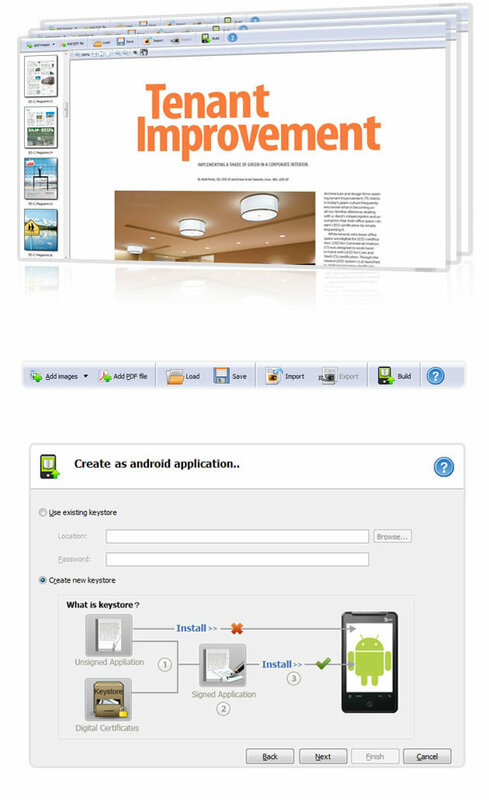 Test the output apps in Android emulator, tablet or mobile phone. The output app if has been installed in Android, it provides an entrance to the interface of searching. Enter the content you want to find in the searching form and then click icon “Search”, you can quick enter the pages which contain the content. No matter how powerful Android magazine app maker is, we all have the only one ultimate purpose that publish our eBook online and earn money from Android. If you have own website, that’s even easier, directly upload the output apps on your site and then earn money in some way. Or publish on Android market and then sell the books.